You can now download iOS 10 GM (Gold Master) candidate build for compatible iPhone, iPad and iPod touch devices. Apple promised that it would release iOS 10 GM build right after its iPhone 7 keynote. Staying true to its words, the company has unleashed all the bits on its Apple Developer Program website. The iOS 10 GM is available for compatible iOS 10 devices only, so make sure you are well covered in that regard before hitting that download button. As you can already tell right now, iOS 10 GM is available for registered developers only. This means you have to throw $99 on an annual basis at Apple in order to access the iOS 10 GM build. But considering how dangerously close we are to the final release, we wouldn’t recommend investing the money on an Apple Developer Program membership at this point in time. 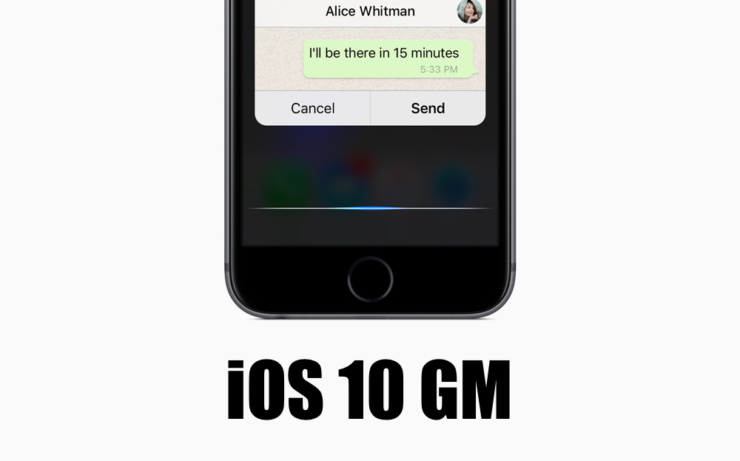 After all, the GM build will be rolled out to end users later on this month, with changes bound to make the cut if Apple encounters a last-minute bug in its final iOS 10 release. If you’re planning on installing iOS 10 GM right away, and also happen to have a compatible device at hand, then we suggest following our detailed guide which is bound to go live in a few minutes’ time. We will walk you through all the routes you can take in order to get iOS 10 GM up and running on your iPhone, iPad or iPod touch. Furthermore, if you decide to wait for the final release instead, which will see the light of day later this month, we will be putting up guides for that as well, walking you through everything that you need to know before making the plunge towards the upgrade. If you’re a registered developer, there’s no reason to hold back from updating to iOS 10 GM. It’s a golden opportunity to hop onboard the final bandwagon before everyone else. Besides, you’re paying a good amount of money to Apple in order to access these bits, so why not make the most of it by staying ahead the rest of the crowd? We knew you’d agree with us on that. Give yourself a pat on the back if you are rocking iOS 10 on your mobile device right now.